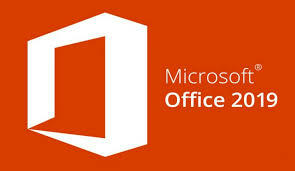 Microsoft on 24 September announced the general availability of Microsoft Office 2019 for Windows and Mac. The company says that this is the next on-premise version of Word, Excel, PowerPoint, Outlook, Project, Visio, Access, and Publisher. The commercial volume license customers will be receiving Office 2019 starting today. is said to provide features and updates to the apps which are on-premises for IT professionals as well as common users. This is for users who can't be connected to the cloud at all times or those who do not receive timely updates. Office 2019 is only going to be released once and is said to not receive any future feature updates. Office 2019 is also supposed to be time efficient as it is said to help users create content in less time. The PowerPoint 2019 will aid users to create presentations with features like Morph and Zoom and also comes with the ability to insert and manage Icons, SVG, and 3D models. There is also 4K video export. Inking features like the roaming pencil case, pressure sensitivity and tilt effects are said to provide across all apps in Windows. Excel 2019 is also equipped with a new data analysis feature which includes new formulas, charts and enhancements to PowerPivot. The 2019 release of Office products also includes updates to the company's servers like Exchange Server 2019, Skype for Business Server 2019, SharePoint Server 2019, and Project Server 2019 which will be released in the coming weeks.